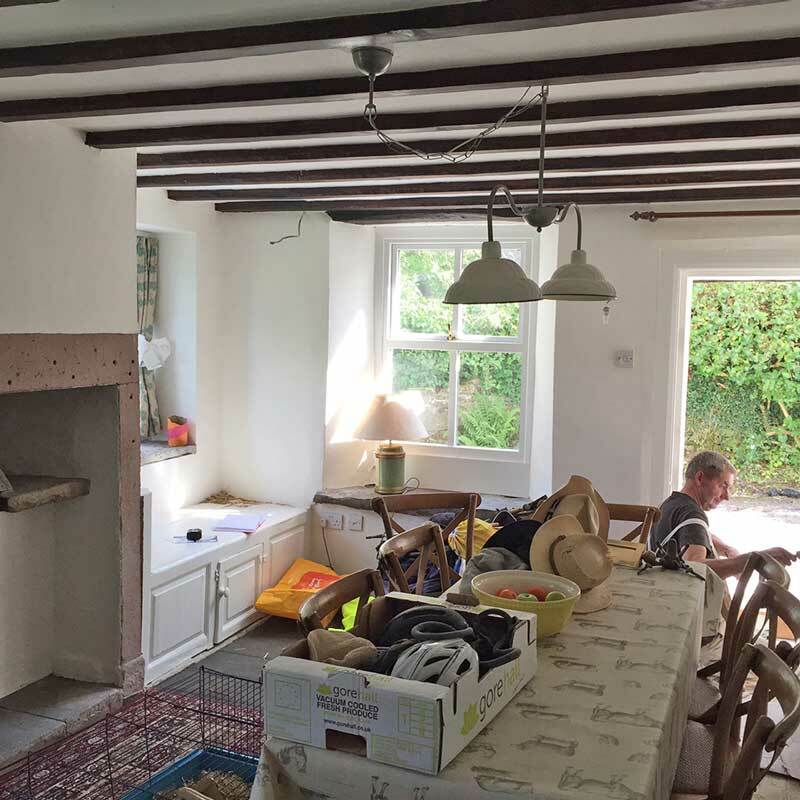 Our client wanted to refurbish her holiday cottage, looking to bring it up to the higher standard expected by holiday makers today. 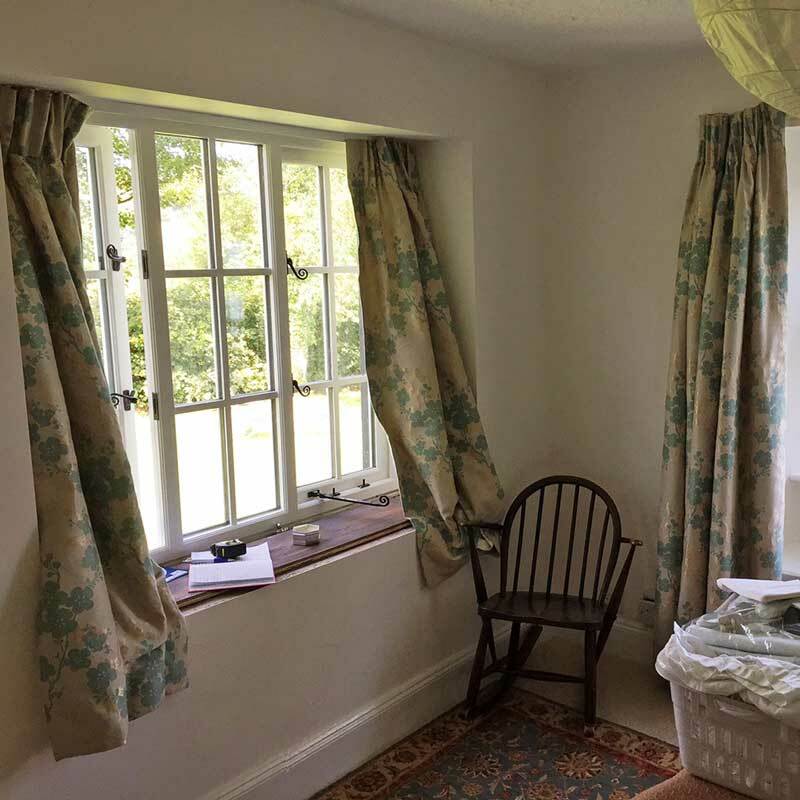 We were commissioned to create a soft furnishings scheme which would compliment and update the clients existing pieces. 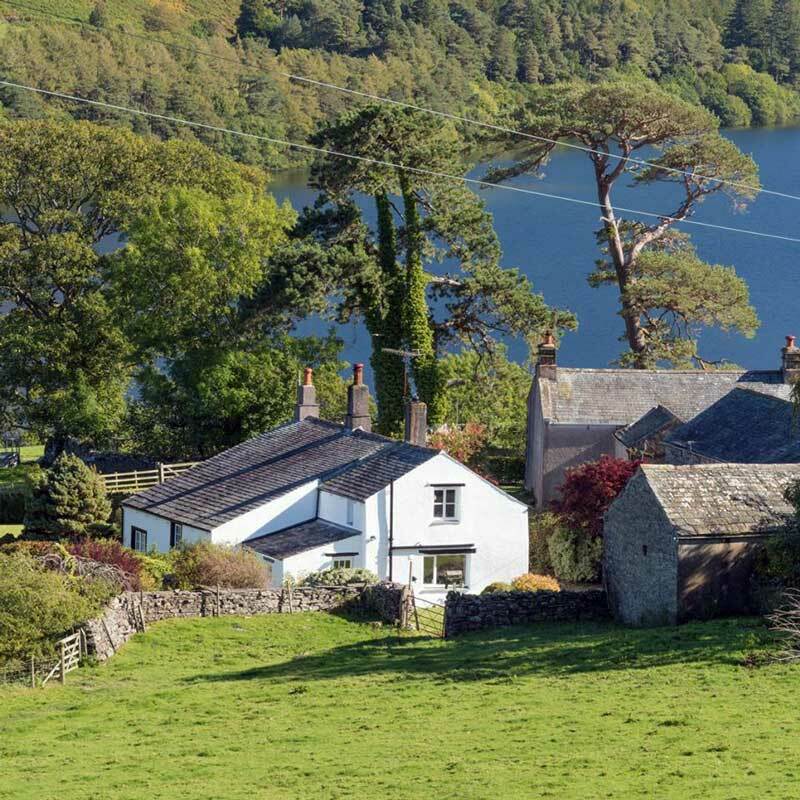 The cottage now has been brought right up to date, yet with elements of the past. 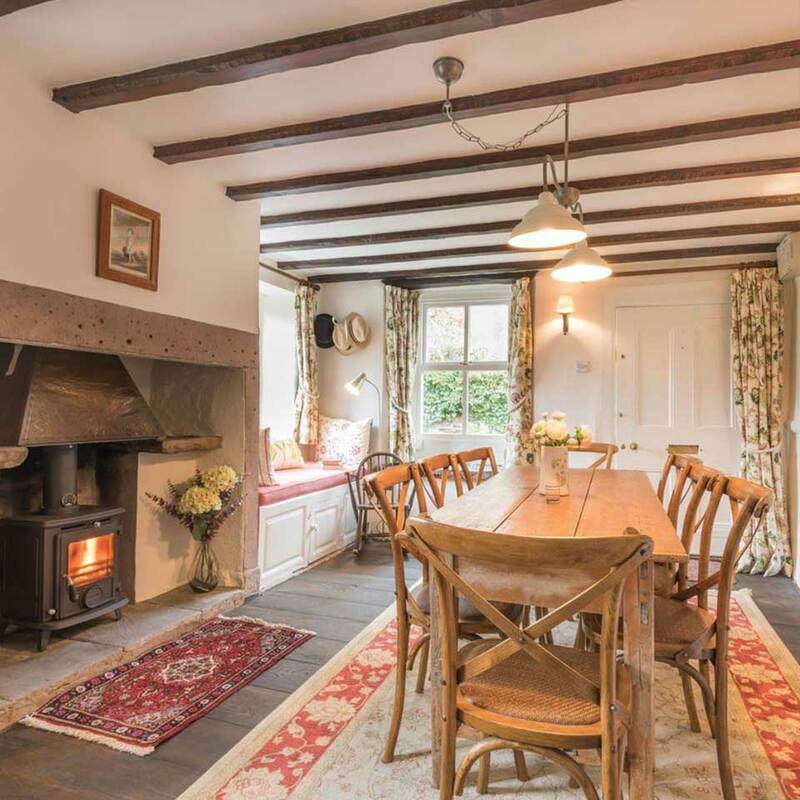 It is full of character and personal touches, somewhere to instantly feel relaxed in away from the stresses of modern life. Somewhere you will want to return year after year. Liz worked closely with the owners to show them what their options were to suit their style and budget. 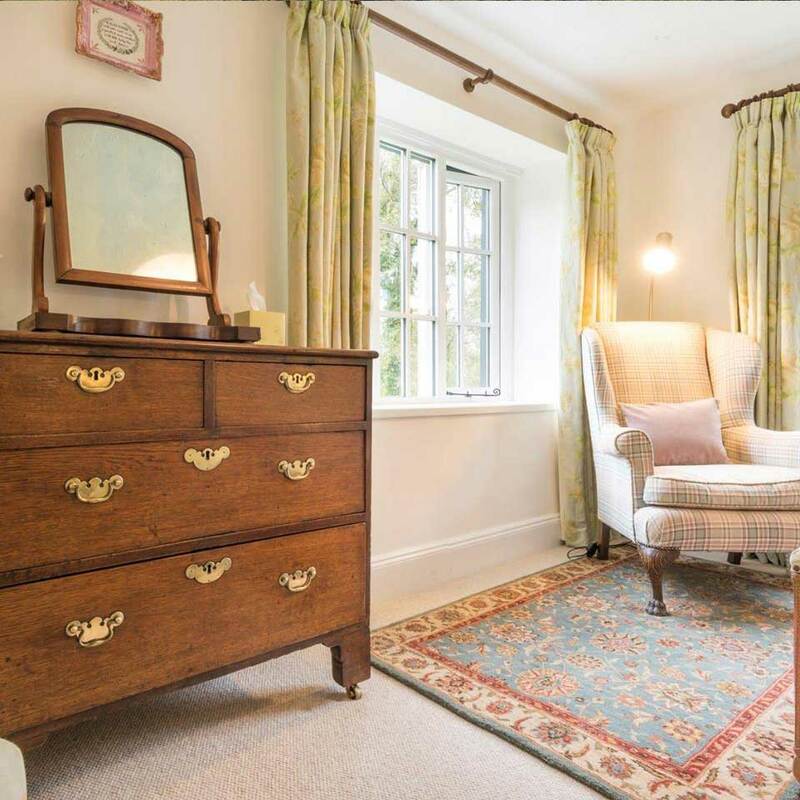 The cottage had already been painted in white which showed off the beautiful beams and slate floors, but it needed an injection of colour and the client chose a pretty yet casual, floral theme, (not chintzy). This was complimented by timeless simple stripes and plaids which were used to reupholster chairs and cushions.